Every year, OSiT chooses a charitable cause to raise funds for with the support of all of our employees, clients and visitors to our centres. In 2017, we raised a fantastic £12,141 together for ‘Shelter from the Storm’ to help those affected by homelessness. We choose causes that have personal resonance for members of our community and this year is no exception. 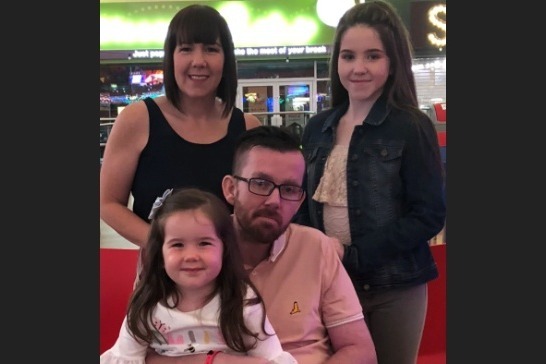 2018’s appeal will support a family close to our hearts, the McClafferty family. Their lives have been severely impacted by the devastating effects of John McClafferty having suffered a severe stroke. He is pictured above with his wife Hayley and their two daughters, Hollie and Grace. John was 39 at the time of the stroke, with no prior warnings that something was wrong. After spending just over 2 months in hospital, John was finally allowed home. Intensive physio now follows but the family have been told that it is unlikely John will ever gain feeling or movement in his left arm; his left leg has some movement but no feeling. He can no longer work and needs help with everyday tasks making each day a challenge. The money we raise this year will help support the family as they adapt to the many challenges of ‘life after stroke’. Thank you again for all of your incredibly generous donations- every penny goes to helping the amazing McClafferty family. Just to keep you all updated, we would like to let you know about the Abergavenny 3 Peaks challenge that 22 of our OSiTeers will be facing on Saturday 23rd March. 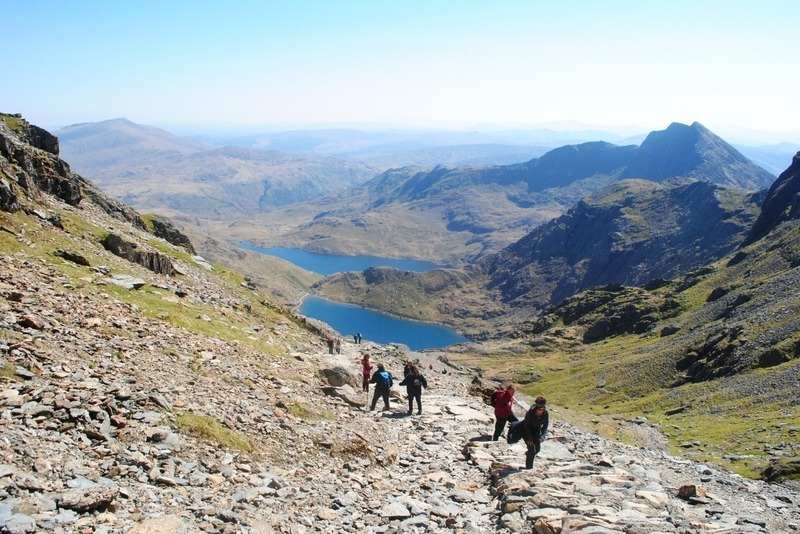 This BIG hike will take roughly 12 hours covering 33 kilometres and 1425 metres of ascent across the Welsh mountains. Please continue to support us support the McClafferty's by giving as much or as little as you can. And Thank You Again!